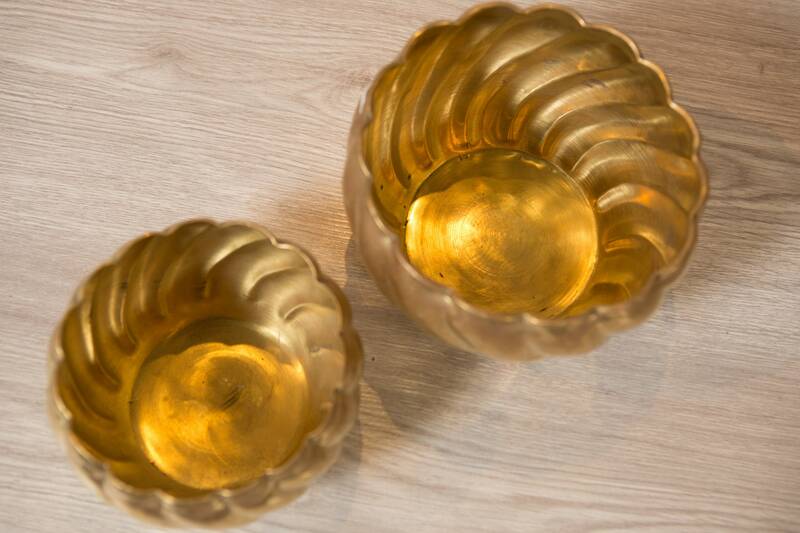 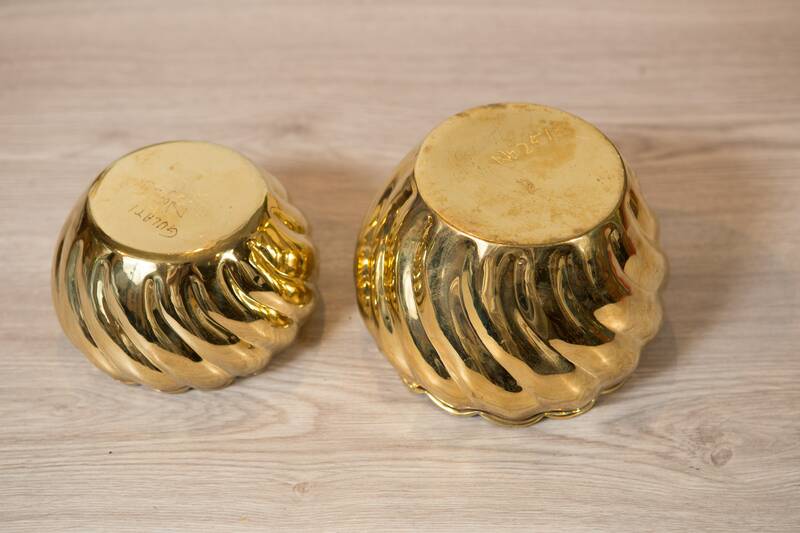 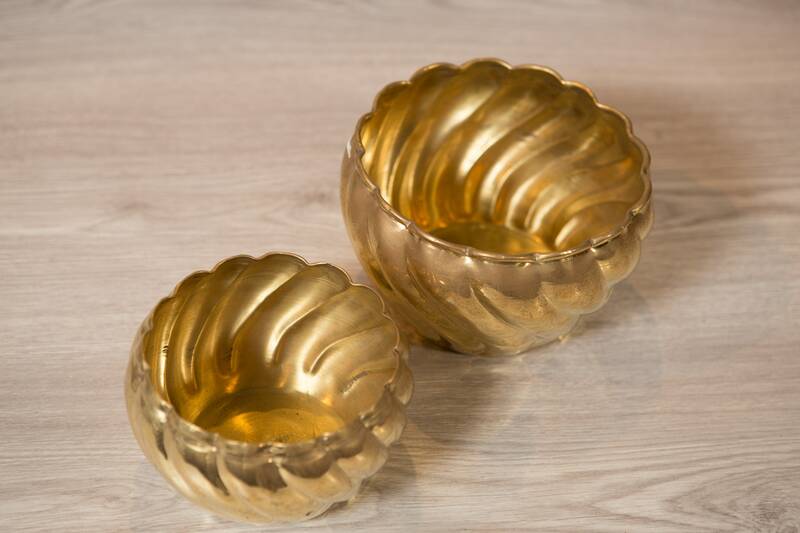 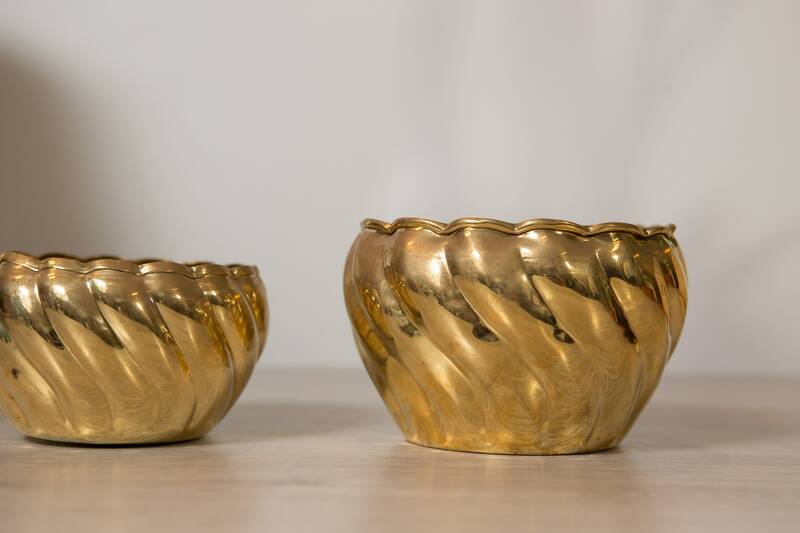 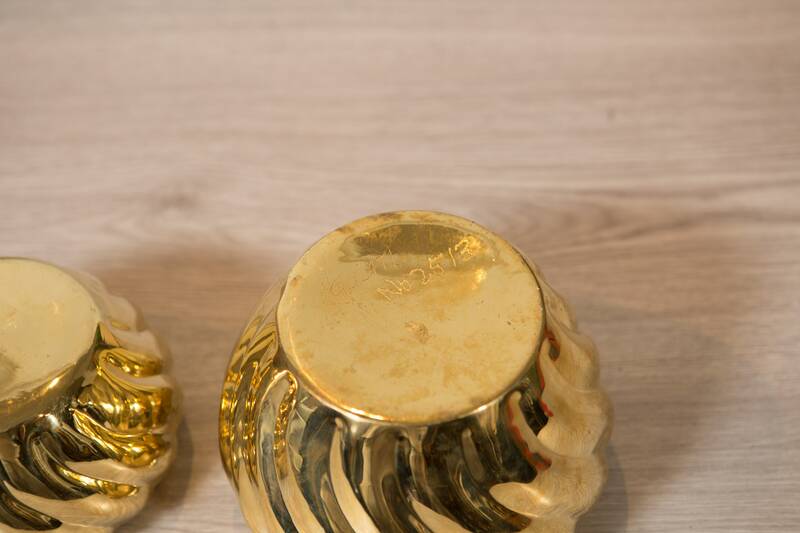 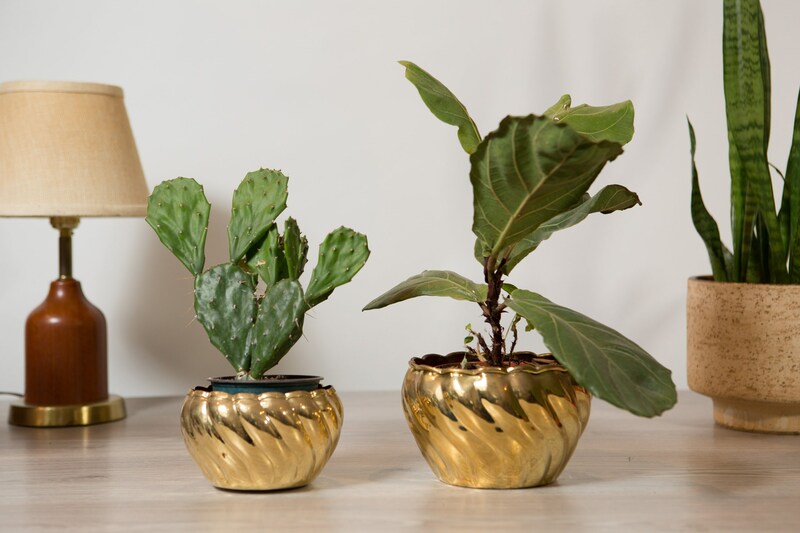 This is a wonderful pair of vintage brass planters with a scalloped shell design. 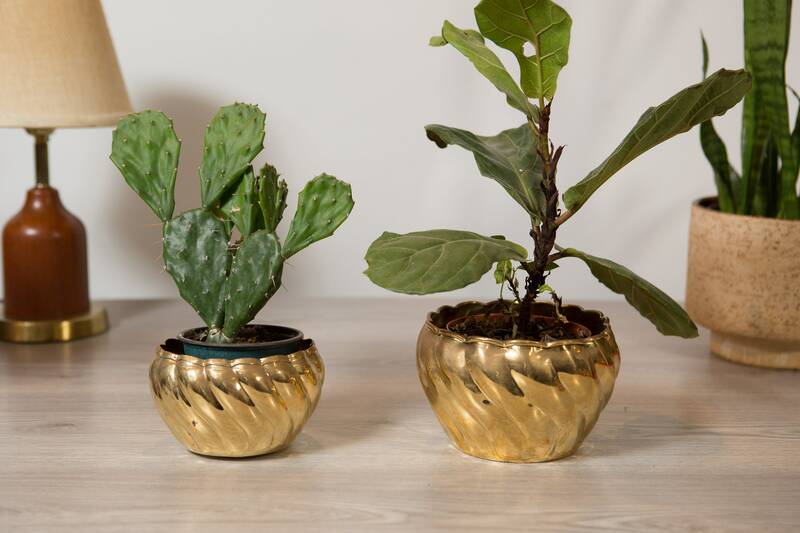 Perfect for succulents, cacti, herbs, or other plant arrangement. 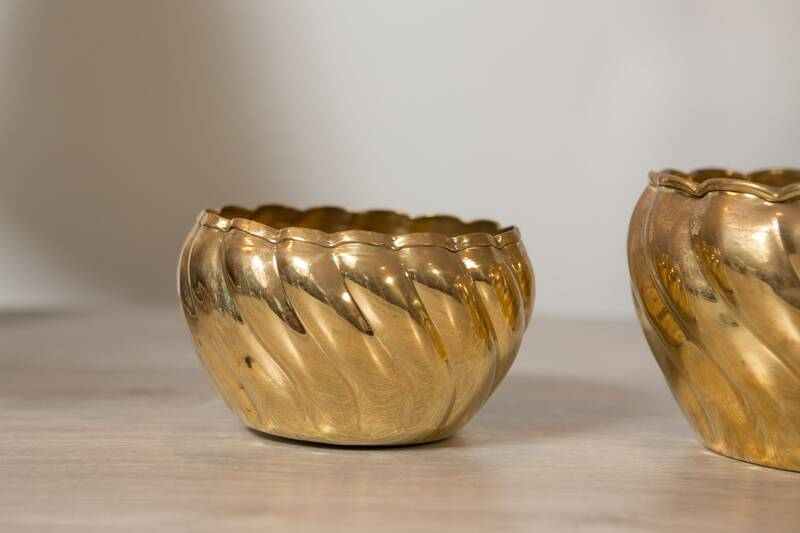 They are great boho decor pieces.